Club Fonograma Archive: Video: Wild Honey - "Untitled Film Still 96"
Video: Wild Honey - "Untitled Film Still 96"
Wild Honey’s latest work, “Dear Cindy”, was released last December by Jabalina Música as part of its Dedicatessen series, a collection of EPs from spanish pop bands dedicating their songs to something or someone. Guillermo Farré (a.k.a. Wild Honey) was inspired by Cindy Sherman’s images featured in her “Untitled Film Stills” series and thus dedicates these songs to three of these photographs, auto-protraits for which he imagines a story, a possible setting and a suitable identity. With his characteristic singing and multiple arrangements such as wind instruments and choruses accompanying the poppy instrumental basis, Wild Honey delivers three tracks that have the sound of a very sweet music box. 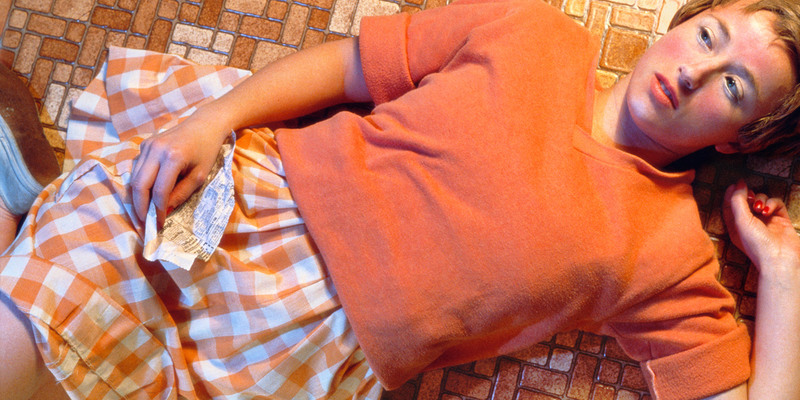 “Untitled Film Still 96” makes the side A of this EP and this is also the photograph that gave name to Cindy Sherman’s most well-known series. The video, however, does not relate directly to the image titling the song and so helps it stand on its own and not only as part of a dedication series. Directed by Pablo Serret de Ena, the clip shows a group of people engaged in different activities or simply standing, the image cut repeating the rhythmic pattern of the song, as if each person was an element of the music. “Dear Cindy” includes also “The Echo” and “I Made This Tape For You,” two additional pop delights that make this yellow 7” quite a collector piece. Video: Mamacita - "No Eres Tu"
Video: Smileswithteeth - "Counting Music"
Video + MP3: Tunacola - "Guachita"
Joe Crepúsculo - "Carreras de Cabeza"
MP3: Tony Gallardo II - "Innervision"
Video: Da Souza - "Sense dir res"
107 Faunos - "Cosas Caras Rotas"